1. The ones meant to awake us � These people show the difference between expectation and reality. Once you meet this type of person, you never realize this particular person will ruin your life. Now you wish that you would not meet him/her. Remember not everyone you encounter is positive; negativity is important when it comes to growing as well. The Universe understand the limit that you can tolerate and it knows how far you can manage negativity in your life. Once you learn a lesson, you will be able to move on from this type of toxic person. 2. Those who remind us � Some people are just stopping by in our lives. 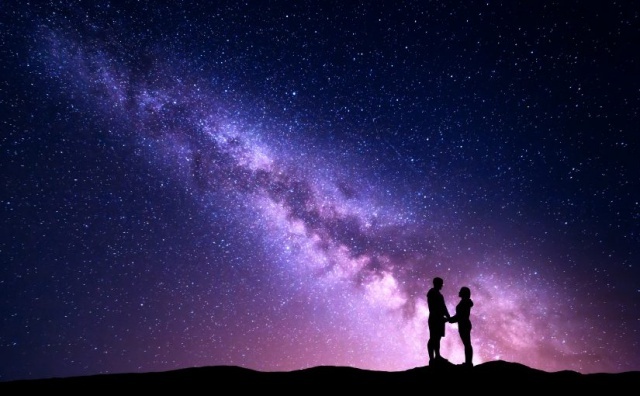 These people are not our twin-flames, we can�t put them in this group, but are extremely important when it comes to the power of the universe and the cosmic connections. These people will be thrown at us by the universe to remind us of our goals, to help us remain focus and prevent us to fall into the abyss of the dynamic modern lifestyle. 3. Those that help us grow � Some people are not going to make us discover new things about ourselves, but some of them will help us grow as a person. These are our guides and certainly our soulmates. You won�t grow as a person on your own, but both of you will grow and �reshape� in something different. Something that knows no �You� and �I� but only �WE� and it�s something holy and powerful, something that describes the cosmic connection at its best. 4. People that hold space for us � The small-talks with these people have a purpose- to hold space for us. These people will always cheer you up and make you feel better about yourself. Don�t forget those small talks- they may have a way bigger meaning. 5. Those who stay � Their first sign is that they are very scarce and almost impossible to find. However, if you do meet them, they will stick to you till the end. They can be in any form � friends, family, life partners, and mentors.